The Top Field Touch Module in Kaitaia wrapped up on Tuesday night with the KC Natz proving too strong by beating Nonu Nonu 8-5 to claim the competitive division title. The Natz, led by Kaitaia College principal Jack Saxon, had recently returned from a strong campaign at the Condor 7s national secondary school championships where they won five and lost five. Tournament organiser Perry Hanara said the experience gained at the national schools titles simply proved too much in the end for the Eddie Evans-coached Nonu Nonu. There were six teams in the competitive division. The social division final was won by Lil Caps in a hard-fought battle over the Nonu Nonu, the latter at least able to celebrate having a team in both senior finals on the night. For Hanara, the most enjoyable thing about running the eight-week tournament — which he's done every year for the greater part of the past decade — was seeing well over 100 children turn up every week to compete in the junior division which was run before the seniors took to the top fields. There were six teams in the Year 3/4 and 7/8 grades and eight in the Year 5/6 division. "Just having all the kids out there playing the game of touch rugby and getting out there, running around and enjoying themselves." 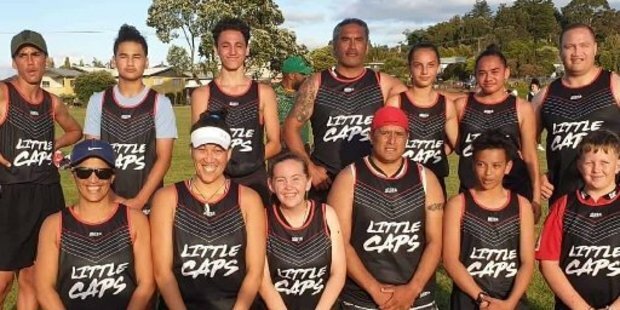 He gave special mention to whaea Sara Latu and whaea Cissy Pickering from Pamapuria School for bringing something like four to five teams to play every night in this year's tournament.